Police have made an arrest in a deadly hit-and-run in Bucks County on Tuesday night, 11/13. 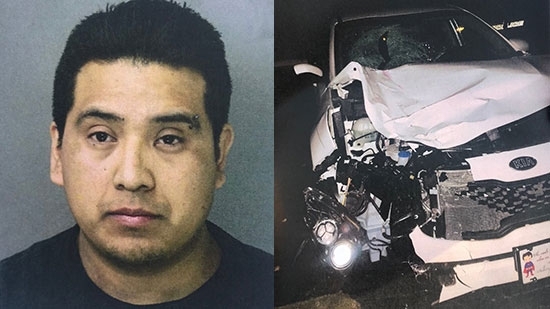 31-year-old Arturo Guzman-Jimenez faces multiple charges including homicide by vehicle while driving under the influence and leaving the scene of an accident. It happened around 6 p.m. on the 1400 block of Easton Road (Rt. 611) near Bristol Road in Warrington. 79-year-old Sigrid Davis had just been dropped off from a casino bus trip and was near her driveway when she was struck and killed. Police found the vehicle identification number (VIN) on a piece of the fender left by the striking vehicle. It was registered to Guzman's wife. At Guzman's home in Plumstead Township, police found him and the heavily damaged white Kia. He told police that he hit something but didn't stop out of fear of deportation. He also didn't have a driver's license and failed a field sobriety test. Guzman is now in Bucks County Jail. Bail is 10 percent of $700,000. 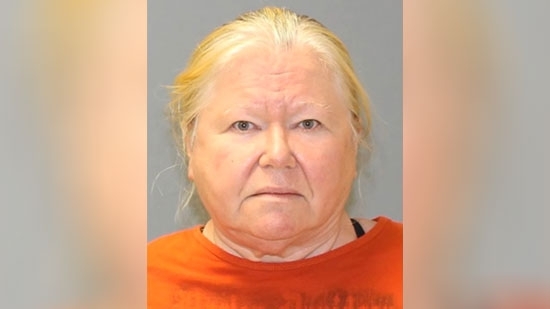 New Jersey State Police have arrested a woman in Burlington County after dozens of dead dogs were found in freezers on her property and over 100 still living in deplorable conditions. Detectives discovered 130 living dogs and 44 dead dogs on the property of 65-year-old Donna Roberts on Oakshade Road in Shamong Township. The dead animals were found in plastic bags and kept in various freezers. The other dogs were living in fifth and squalor. There was also evidence of animal cruuelty. The dogs were treated on scene by animal shelter workers. Roberts was charged with animal cruelty and released pending a court date. The Burlington County Prosecutor's Office is handling the case. The National Transportation Safety Board is holding a hearing Wednesday, 11/14, related to the deadly incident on Southwest Flight 1380 that forced an emergency landing at Philadelphia International Airport last April. During flight, an engine blade broke causing that engine to fail and come apart. A piece of the engine cover flew off and struck the plane, breaking a window. The plane suddenly lost cabin pressure. 43-year-old Jennifer Riordan of Albuquerque, New Mexico, was sitting at that window. She was pulled partially out of the plane through the window before passengers pulled her back. She died at the hospital. The plane's pilots made evasive maneuvers and a emergency landing at PHL. The hearing should discuss questions about cause of engine failure, metal fatigue, and frequency of engine inspections.